The wood grouse is the king of the birds living in the Finnish forests. This handsome bird is one of the most valued creatures in the Finnish fauna. 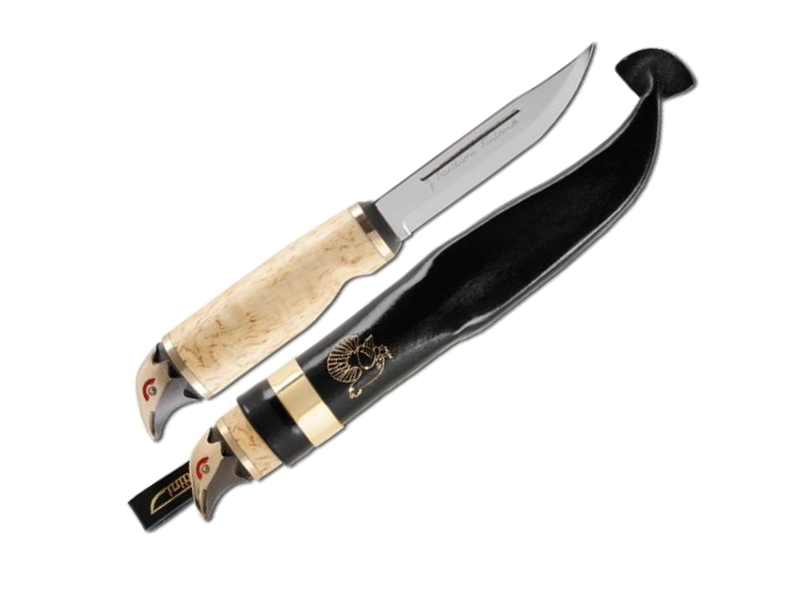 Male bird's characteristic feature, a striking red eyebrow, plays an important role in this beautiful knife. 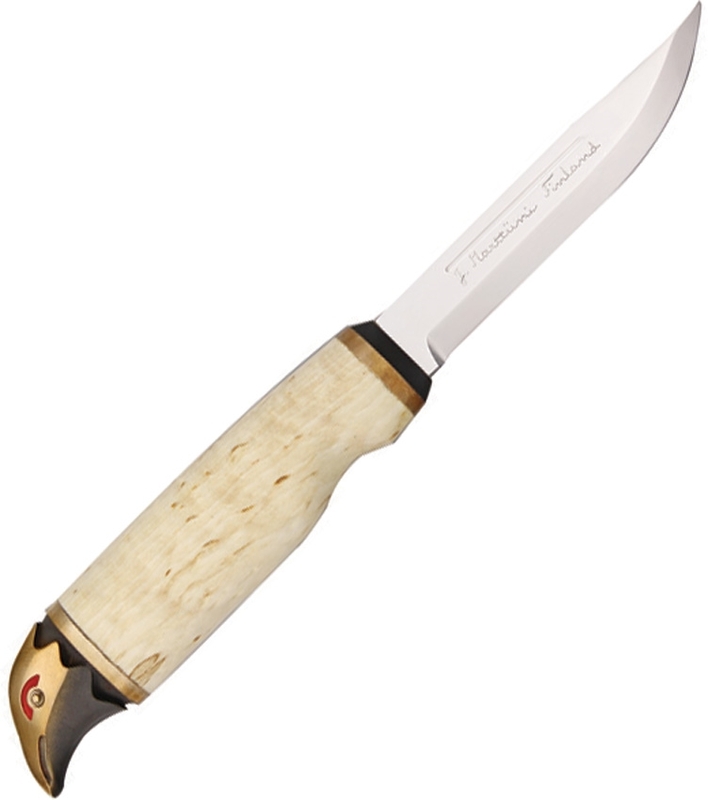 The bronze cast ferrules and the beautiful curly birch handle make this knife a unique gift item for all those who appreciate great knives and the purity of Finnish nature. 9 5/8" overall. 4 3/8" stainless blade. Curly birch handle with bronze ferrule. Bronze pommel in the shape of a wood grouse head. Deluxe black leather belt sheath.